Brenda Bass brings a variety of experience and technical legal insight to the private and public agency clients she represents. 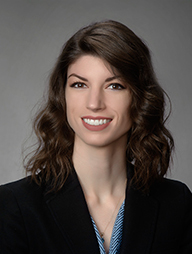 She works with clients to provide legal advice on environmental review requirements, applying for and complying with water quality permits, and litigating CEQA and groundwater quality issues. She guides wastewater treatment clients through regional and state regulatory processes to ensure that they obtain the necessary permits to continue providing services to California communities. She is experienced in both bringing and defending lawsuits based on the California Environmental Quality Act (CEQA). Additionally, she has defended federal Clean Water Act lawsuits on behalf of public and private entities. She has also assessed potential vulnerabilities under California’s Proposition 65 for agricultural industry groups and manufacturers. Brenda’s background also includes federal court experience as a Judicial Extern for Judge Ronald H. Sargis, U.S. Bankruptcy Court. Brenda also worked as a research associate with a public affairs organization where she investigated strategies behind environmental lawsuits aimed at development projects. Her time outside of work is often spent photographing Northern California’s flora and fauna or flowing through yoga sun salutations.